Crisp morning air, early sunsets, and leaves falling all are signs that fall is upon us. I am giddy with excitement for all that this season brings. I have pumpkins on my table all ready, (can't wait to share these with you) and believe it or not, I have a start on holiday shopping. 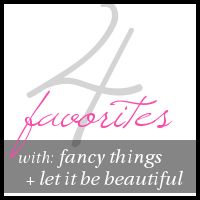 I am loving this weeks four faves. I am in need of some new booties, and I really think I may go with a wedge this year. I am looking forward to dark toes, and layering up scarves with chunky sweaters. Oh, and this clutch? L.O.V.E!! dark polish is one of my most favorite things. ever. My toes are officially dark right now! I can't wait to see your dark polish, and hope you are doing so much better! I have missed you. Email me if you ever need to chat, vent or rejoice my dear! These are all such wonderful picks!! Thanks. I really do love the clutch, and already have dark polish on! Booties are a total must for fall, loving those nail polish shades! Oh for sure, new booties are on my list!